“One batch, two batch, penny, and dime.” The Punisher is set to return for a second outing in 2019! Brutal, unrelenting, and without mercy, it comes as no surprise that after such a successful first season Marvel was quick to renew. Who’s joining Frank on his conquest to rid the world of criminal scum? Which adversary will he be fighting next? Here’s everything we know so far about season 2 of The Punisher. The character of Frank Castle made his first appearance in issue #129 of The Amazing Spiderman back in 1974. Over 40 years later the merciless vigilante is still a fan favorite amongst the Marvel fandom. This has since carried over into the Marvel TV verse after making an astounding debut in Season 2 of Daredevil. It was evident that a character as popular as the Punisher needed his own series and Netflix gladly agreed with the fans. In the fall of 2017, The Punisher aired to many a fan’s delight. Frank Castle had exacted his revenge on those responsible for murdering his family. He was prepared to move on with his life and tried to settle back into the public. But after uncovering a criminal conspiracy Frank returns as the Punisher. As he delves deeper into the conspiracy that runs deeper than the criminal underworld of New York, Frank will discover the truth and injustice that affected more than just himself and his family. The Punisher enacted his revenge on his former best friend Billy Russo for his part in the death of Frank’s family. Rather than killing him, Frank mutilated the face of the former handsome Marine and left him for dead. I’m not gonna let you die today. Dying’s easy. You’re gonna learn about pain. You’re gonna learn about loss. Every morning I look for ’em, Bill. I look for ’em but then I remember. It’s gonna be the same for you. When you look at your ugly, mangled face, you’re gonna remember what you did. You’ll remember, Bill! Rewarded for his service in taking down the operation of Russo and Rawlins, Frank was declared ‘dead’ once again. This would allow Frank to move on with his life and live as Pete Castiglione. Taking the advice of his best friend Curtis, Frank goes to the rehab center. He finally opens up to the group and openly admits he is scared of not knowing what the rest of his life holds for him. The plot of season 2 is yet to receive a synopsis but we can surmise what is to come. Billy Russo survived the revenge Frank enacted upon him but paid the price of losing his good looks in the process. With Billy very much alive, once he has recovered it is likely he will come after Frank once again. Fans of the comics will know Russo’s comic alias as Jigsaw. Josh Stewart has been cast as John Pilgrim. 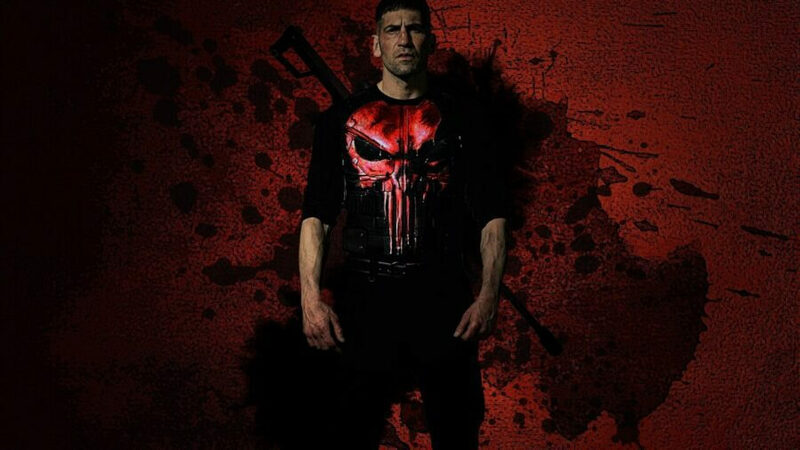 The character of Pilgrim has been described as: “A man with a past of violence, who will be brought to circumstances to reprise his old skills and brought them to Frank Castle’s world.” It wouldn’t be too much of stretch if someone has placed a hit on Frank Castle and Pilgrim is the man hired for the job. Who is in the cast for season 2? There are five new cast members confirmed to appear in season 2 of The Punisher. Josh Stewart, Floriana Lima, Giorgia Whigham, Corbin Bernsen and Annette O’Toole are the latest to join the MCTVU. Where are we up to with production? Filming has finished and by so has production! With the release of season 2 imminent, the only thing left for Netflix to do is market its release. Will we see other MCU characters cross over? It would be cool to see Frank interact with other heroes but the chances of this are slim. We are more likely to see the return of Karen Page rather than any other character due to her friendship with Frank Castle. With the release date upon us Netflix finally released a trailer for The Punisher season 2! A release date has been confirmed by Netflix! The Punisher Season 2 will be arriving on Netflix on the 18th of January! Are you excited for season 2 of The Punisher? Let us know in the comments below! Previous story Doom Patrol Season One: Cast, Plot, Trailer and Coming to Netflix?